The Department of Veterans Affairs (VA) is in the middle of changing its Schedule for Rating Disabilities, the VASRD. If you’ve ever looked at the VASRD and been confused, you’re in good company. Unfortunately, the VASRD doesn’t function like a menu, so it can be quite misleading. Also, the current VASRD doesn’t account for impact of service-connected disability on your overall life. Right now, VA only assesses disabilities based on perceived impact to your income. You can readily understand that the inability to walk affects all aspects of your life and well-being, even if you are able to sit at a computer for hours for work. Knowing how the current VASRD operates and how any changes may impact your claim for benefits is crucial. You definitely don’t want to leave a higher rating on the table if the new standards will actually take into account the full impact of your disabilities, such as the fact that you can work but you can’t walk. What does this mean? It means even if you currently have a disability rating, you should be aware that VA is in the process of changing its rules for assessing disability. 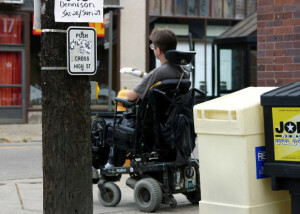 These changes may have a significant impact on your present disability rating. The sooner you find out and the sooner you receive the maximum rating to which you are entitled, the better. Even the Congressional Budget Office anticipates serious, sustained rises in health care costs for Americans. You can’t afford to leave any money on the table when it comes to healthcare benefits you have already paid for with your service and sacrifice. And, since benefits can accrue to your dependents even after you are gone, it’s important that you be assertive in obtaining maximum benefits now. Once you have departed, it can be more difficult to prove or to demonstrate disability. What does this mean for you – and your dependents? One thing it definitely means is make sure you are receiving all the health benefits administered by the VA to which you are entitled. You do not want to be stuck with health care costs that – even by conservative estimates – are on a path to keep going up and up and up. Why health care costs only seem to be rising is a good question. Why they are likely to go up an astounding 20-percent every year is a really good question. But, you don’t need questions. You need answers and strategies to insulate you and your dependents from these outrageous healthcare cost increases. That’s where having knowledgeable experts can be helpful. VA requires that, unless you represent yourself, you have an accredited Service Organization, Claims Agent, or Attorney represent you. This is important because not everyone who would like to assist you has been accredited by the Department of Veterans Affairs. Obtaining assistance with your claim for benefits is a smart idea. Finding a VA-accredited representative can be the most important step you take in ensuring maximum benefits for you and your dependents.